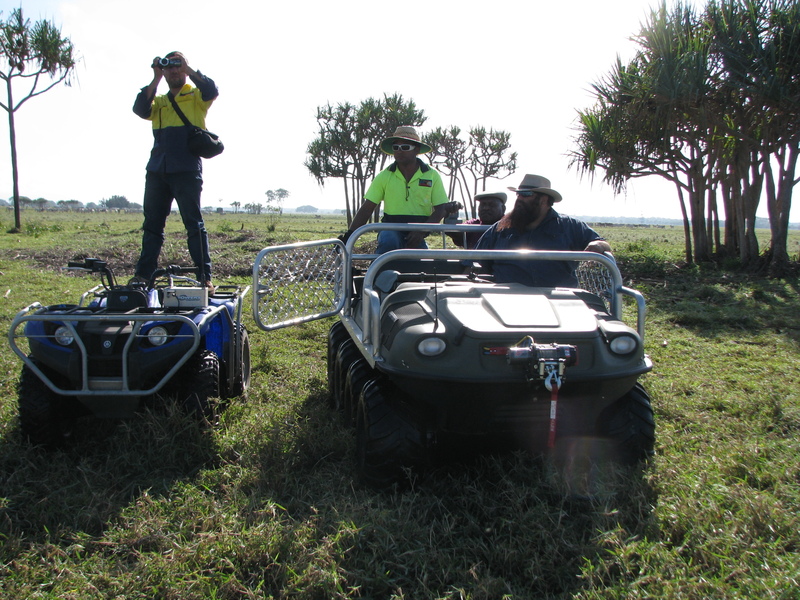 In 1999 the Nywaigi people, through the Nywaigi Aboriginal Land Corporation, purchased Mungalla Station, an 880 Ha cattle property that represents a small part of their ancestral lands and waters. Sitting adjacent to the World Heritage Great Barrier Reef lagoon and the IUCN-listed Halifax Bay Wetlands National Park, Mungalla is an enchanted bit of country. Once the Nywaigi were back on that country though, they found there were some issues. Unfortunately, in the years before the Nywaigi took back control of Mungalla, the wetlands on the station had become degraded by weed invasion, agricultural run-off and modifications that were made to the natural water flows in the area. The Nywaigi are looking to turn the condition of the station around and restore Mungalla to a state that meets the cultural, environmental and financial needs of the Nywaigi owners and the broader community. To this end they have developed the Mungalla Wetlands Management Strategy. CSIRO has been working with the station managers since 2006 as a trusted adviser to help carry out this vision and establish a resilient ecosystem that supports diverse native species. Together they secured funding through the Australian Government’s Biodiversity Fund in 2012 for a five year project that will restore natural water flows, manage invasive plant species and revegetate important riparian corridors. A crucial aspect of the recovery effort is to remove an artificial bund that prevents water movement between freshwater and saline environments. This will restore natural tidal flows and water exchanges to the wetland system and will allow for the recovery of a fish passage into and out of the wetlands. The tidal flows of brackish water will also help with the control of salt intolerant invasive plant species. CSIRO will manage this process and will be monitoring vegetation and water quality using novel aerial image capture techniques, before and after saline intrusions into the wetland. On the weed front, the main offender is Hymenachne, a noxious Weed of National Signficance. It was first introduced to the area in the 1980s as a forage plant for cattle but it went feral, choking out the waterways and out-competing native vegetation. The station managers are making progress on managing this weed and others through a regime of herbicide spraying and burning. It is hoped that reducing weed abundance will allow diverse native plant species to return. Revegetation is being helped along by the strategic planting of locally-sourced native plants. 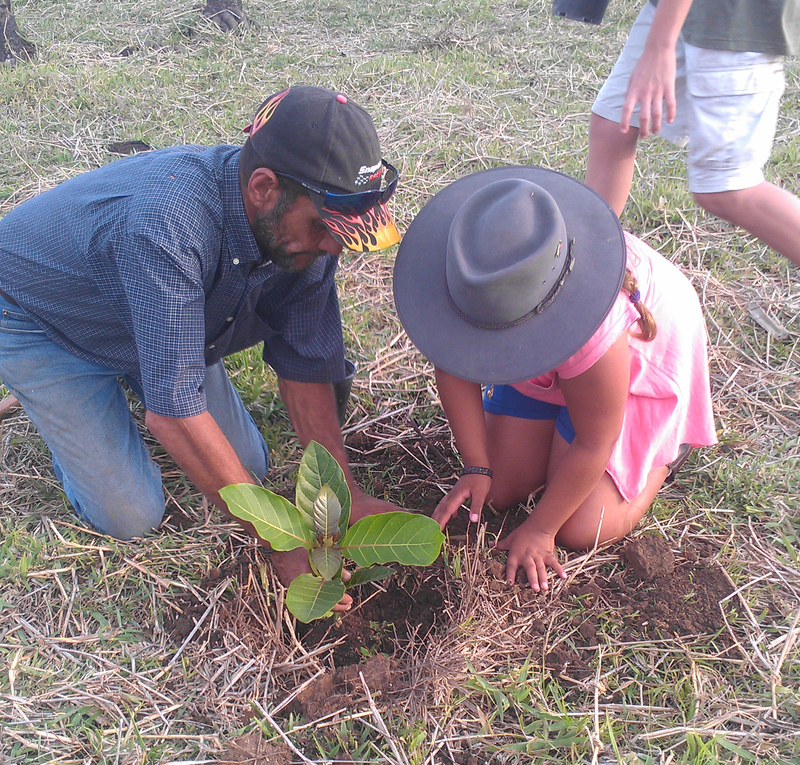 By involving young people in the revegetation work, the Nywaigi are ensuring knowledge about their country is passed down to younger generations. 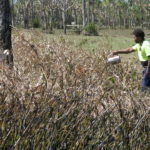 These activities are re-establishing important habitats and wildlife corridors throughout the wetlands, which will benefit native fauna, particularly birds. 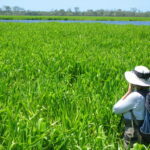 Diverse wetland plant communities could provide ideal habitats for nationally threatened and migratory bird species such as jabiru, brolga and magpie goose. This work ensures that the cattle and tourism enterprises run by the Nywaigi owners on the station are sustainable and meet their cultural and economic aspirations. In turn, these enterprises support the ongoing management of this precious wetland. 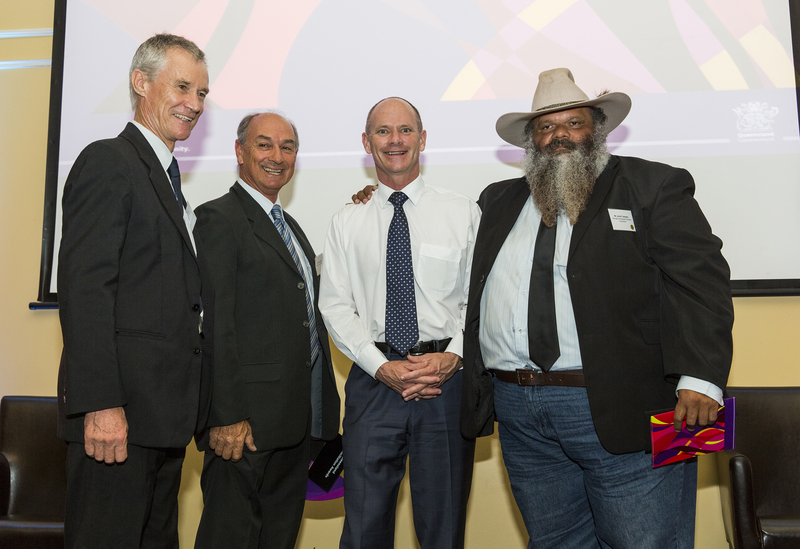 On 27 May 2014 Mungalla Aboriginal Business Corporation and CSIRO won the Queensland Reconciliation Award in the Partnership category for the Mungalla Wetlands Biodiversity Project. Very interesting article. Oddly enough this article reminds me of what is going on in the USA with the Florida Everglades and Everglades headwaters. The federal government (i.e. US Army Corp of Engineers, US Fish and Wildlife Service, etc.) and state of Florida (i.e. South Florida Water Management District, Florida Department of Environmental Protection, etc.) is slowing buying back land that was used for agriculture and restoring it back to functional wetlands. Keep up the good work!!! Thanks Peter. The wetlands above the bund are actually freshwater and so the likelihood of mangroves surviving is very remote. But your concept of using shading to reduce weed populations is correct and the current project funded under the Biodiversity Fund is aimed at extensive re-vegetation along riparian fringes. The re-veg work has been underway for 12 months and will continue for another four years. Hopefully the result of that work will result in significant reduction in Weeds of National Significance (WONS) populations. Country is sacred to indigenous people, not regarded as “real estate” except by an avarious and spiritually bankruptfew – an unfortunate choice of words in an otherwise interesting article.